Xerta Restaurant brings the seafood and wetland treasures of the Terres de l’Ebre territory to Barcelona’s fine-dining scene. Xerta had a big impact in Barcelona when it opened in the new OhLa Eixample 5-star hotel, winning a Michelin star in its first year. That created some controversy but Chef Fran López is no stranger to the little red book, having held a star for several years in his Tarragona restaurant, Villa Retiro. López’s new Barcelona venture is much like many luxury-hotel-based one-stars in terms of style. It’s very muted, minimalist and elegant, with nothing to distract from the food. The format, too, is modish: a series of tasting and midday menus plus some pricey à la carte options. The top ‘Tribute’ menu is €98, plus an optional €44 drinks pairing. Lunchtime options include the €50 ‘Delta’ and the bargain €35 ‘Executive’. The world is awash with blandly international one-star restaurants in five-star hotels; Xerta sets itself apart by focusing on products from López’s home territory, the Terres de l’Ebre, and especially its famous delta. The area is rich in shellfish, which have an accordingly prominent place in Xerta’s menu. The ‘seafood selection and secrets from the Mediterranean’ is the stand-out section of the Xerta experience. Its same-day-gathered canyuts (miniature razor clam) and calaixos (a local shellfish), neither of which I’d encountered before, are outstanding. Other highlights: delta elvers with cod cheeks, free-range-duck egg yolk and truffle. Delta rice with wild mushrooms and prawns from Sant Carles de la Rápita. Sous-vide-braised beef cheeks with foie, chestnut and chocolate jus. ‘Soap and Water’ turns piña colada flavours into a fairly convincing dish-washing kit (pineapple sponge, green-tea scrubber, rum & coconut soap). It’s unremarkable in terms of taste but wins points for shock value and being so far out of context it can’t even see the shore. Xerta brings something different to Barcelona’s hotel-fine-dining scene. There’s nowhere else in town where you can eat some of these ingredients. There are a few ‘meh’ moments during the tasting menu but the concept powers it along and you’re never too far from something flavoursome. The wine choices are a strong point; the López family are winemakers so unsurprisingly their creations feature here. In general, Catalan wines are showcased, which fits Xerta’s local-first character. Service is informed and attentive. In a market that’s increasingly international – and increasingly monotonous as a result – I applaud Xerta’s desire to define a clear regional identity. 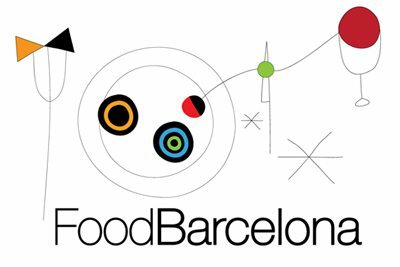 Look up the location of Xerta Restaurant on the FoodBarcelona restaurants map. Find more restaurants in l’Esquerra de l’Eixample, Barcelona. That sponge is an amazing creation, but at the same time somewhat off putting. Exactly that. But it’s fun, so top marks on that scorecard.